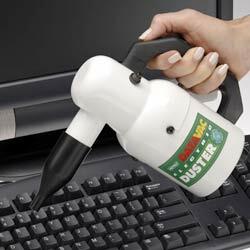 Metro ComputerVacs - Perfect for cleaning all your electronic goods! 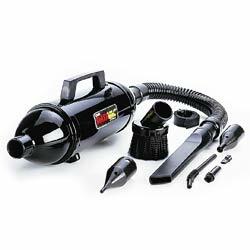 Metro has over 70 experience in building vacuum cleaners and air blowers for a number of different applications. The DataVac and DataVac Pro is built to specifically clean office electronics - from your keyboard to your printer and DVD players. More economical than canned air. 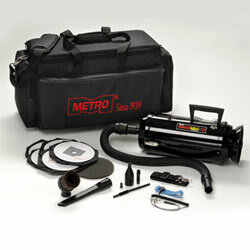 All-steel and built to last, Metro DataVacs are more cost effective that throwaway cans of air. 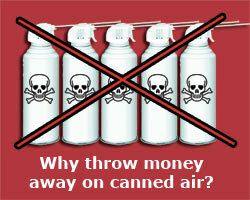 Electric power elinitaes the need for dangerous, environmentally damaging aerosal cans. 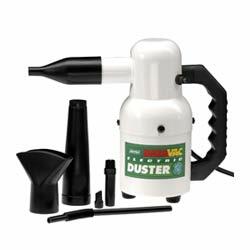 Blows clean, dry filtered air. Safe for all computer/electronic equipment, printers, copiers, fax machines, digital cameras etc.Condensation free. Contains no dangerous propellants. For professional or large office users. Fight rust! 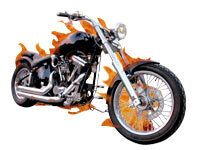 Metro Dryers blast water off bike in seconds! 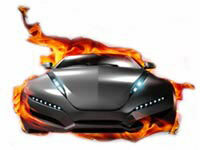 Dryers and vacuums to keep your vehicle in tip top shape and combat rust.